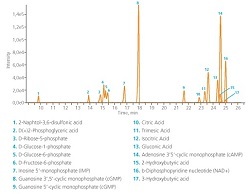 To understand health and disease states, development of new therapeutics and research on biomarkers, toxicity markers, etc., depend on the robust and in depth analysis of the composition, concentration, and dynamics of the entire compilation of small molecule compounds present in biological samples to compliment other layers of biological information (genomics, proteomics, etc.). 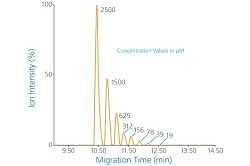 To more completely address the broad chemical variety and dynamic range of metabolites, the CESI 8000 Plus High Performance Separation - ESI Module provides fast, efficient and high resolution separation, and significantly increases MS sensitivity while simultaneously expanding coverage of organic acids, amino acids, amines, peptides, nucleotides, nucleosides, and other chemical classes. 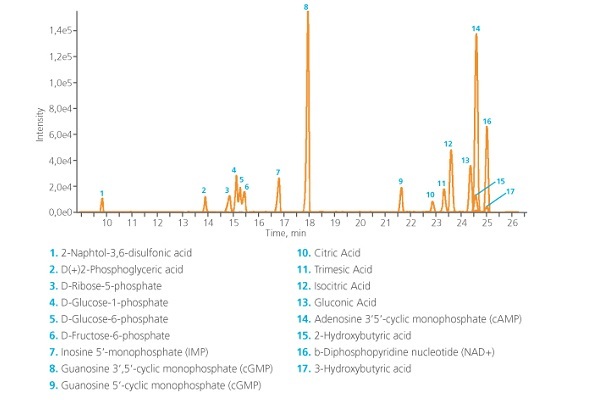 Molecules that are often undetectable by conventional technologies, such as LC-MS, can be detected and separated with CESI-MS. 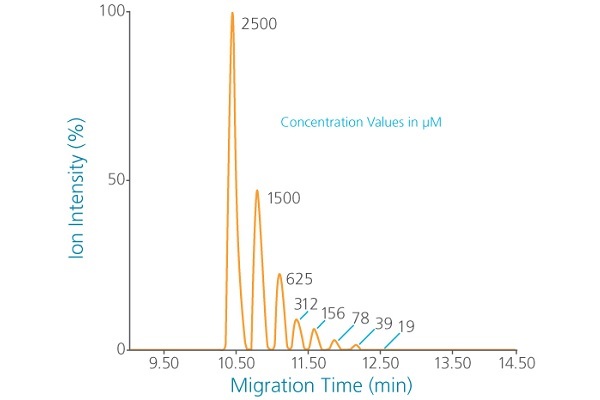 The separation of sugar phosphates and other isobaric positional isomers such as citrate and isocitrate demonstrates CESI-MS’ high resolving power for charged and polar compounds. 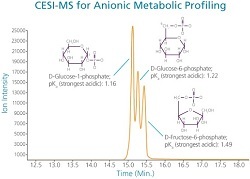 CESI-MS enables the high resolution separation and analysis of anionic metabolites from across the metabolome. 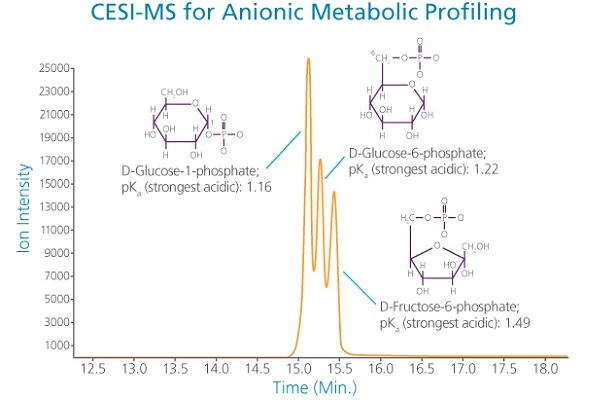 Note, cationic and anionic metabolites can be analyzed by the same CESI capillary simply by reversing the polarity of the separation, using the same buffer system.